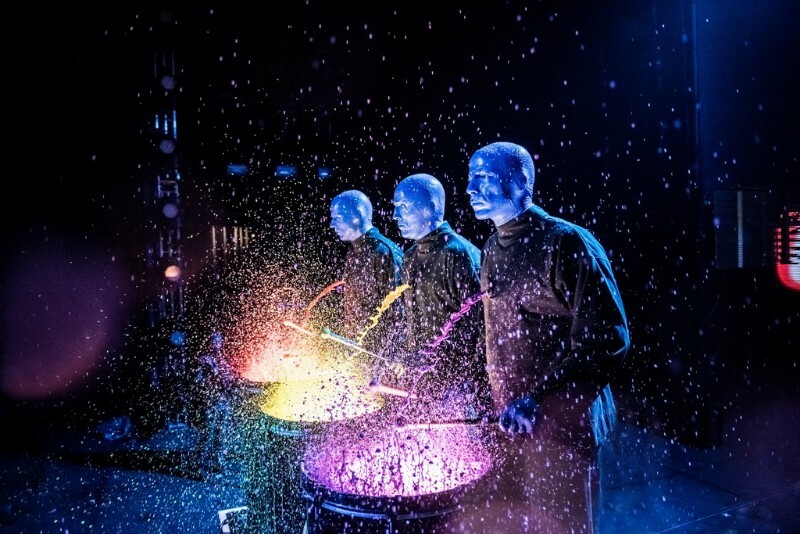 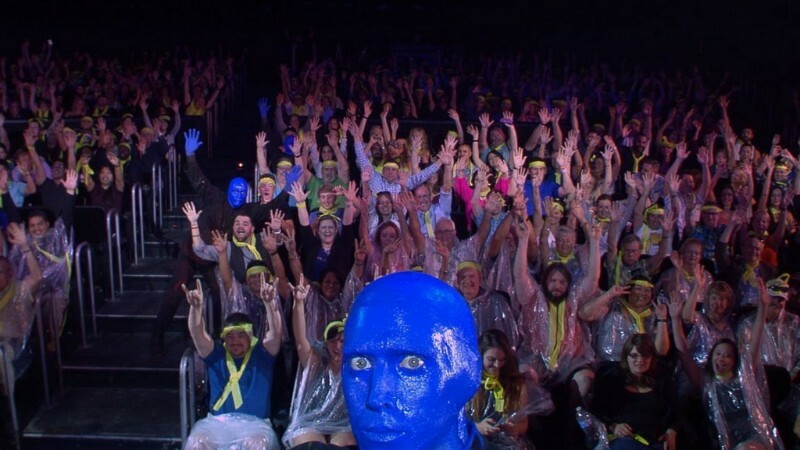 It’s true that their faces are painted blue, but that is only the first of many surprises that makes Blue Man Group a rhythmic and visual spectacular. 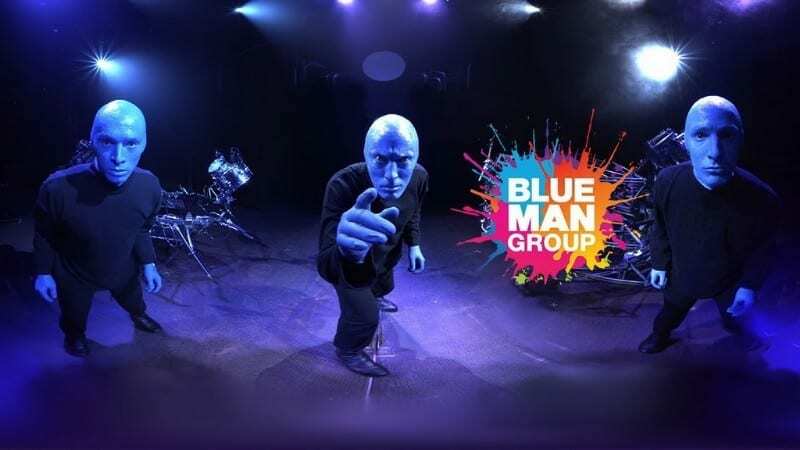 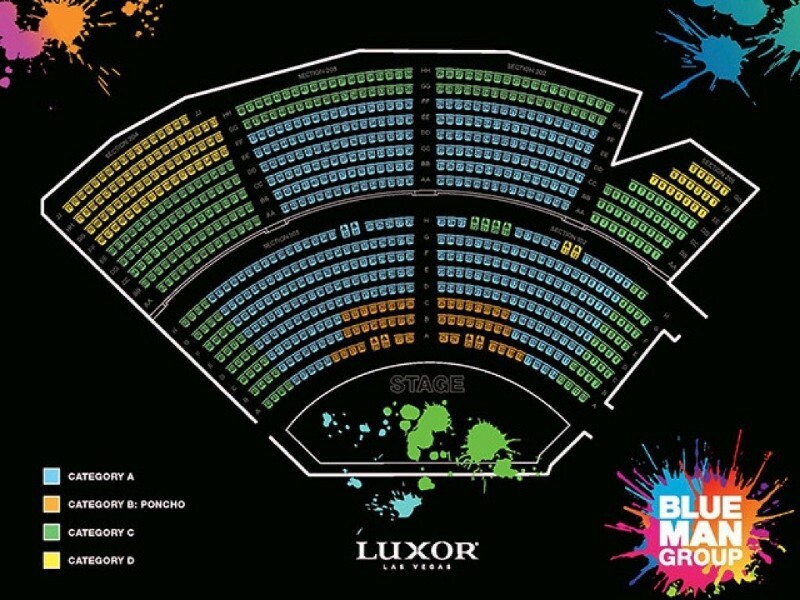 Blue Man’s eclectic mix of music, dance, and humor is sure to make the audience come alive during this hour and 45 minute extravaganza. 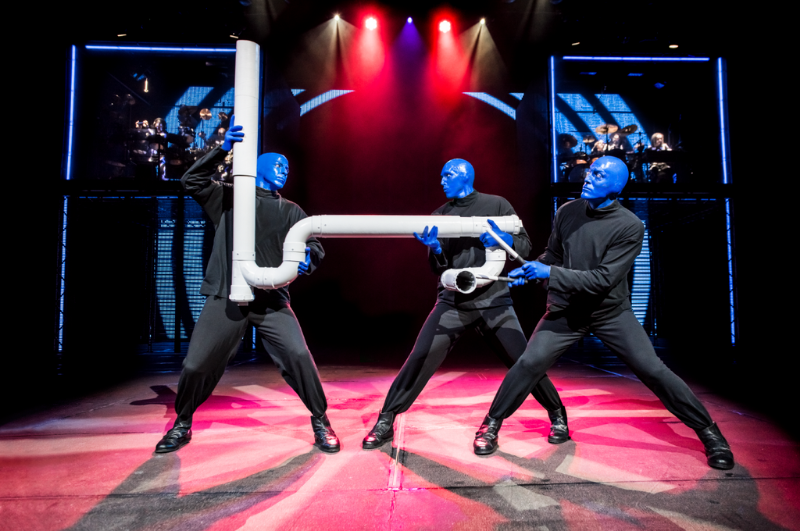 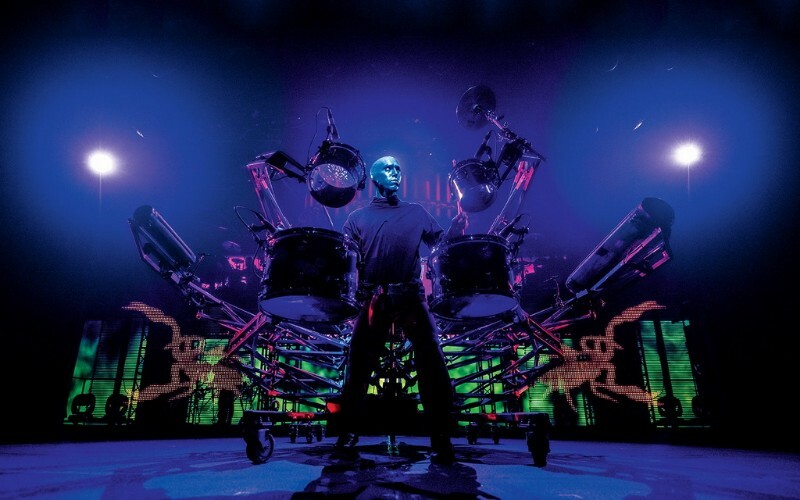 Blue Man Group’s show features plenty of wacky, off-the-wall vignettes that will make you laugh, including a tutorial on rock concert moves that everyone needs to know whether they want to become a rock star or just worship one. 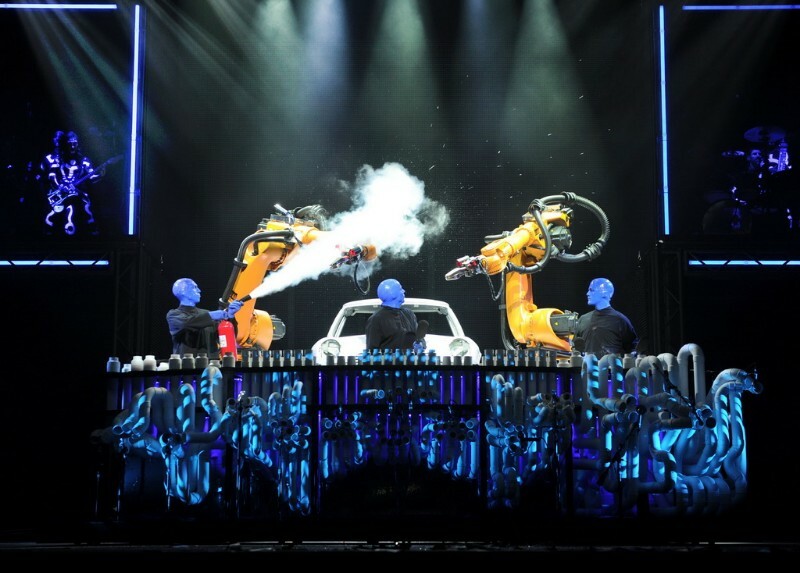 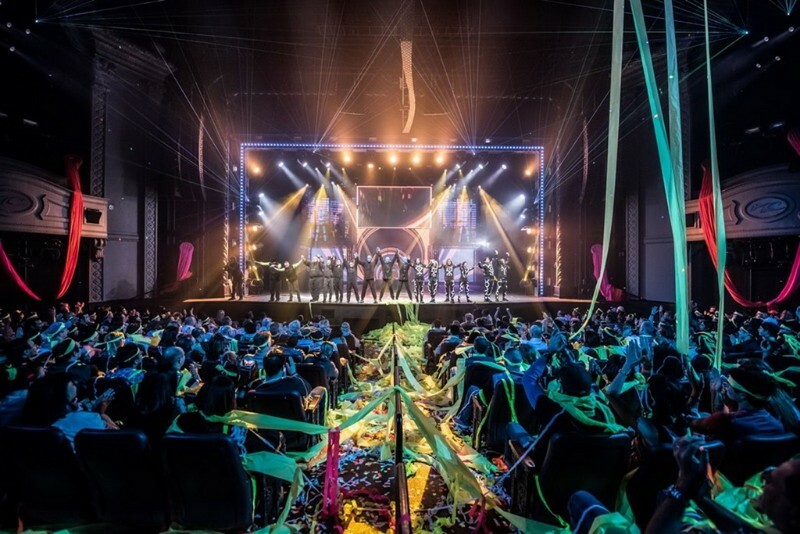 The show relies heavily on audience reactions – the performers constantly play off the crowd.